Our goal is to provide a healthy, per-spoiled, family companion. 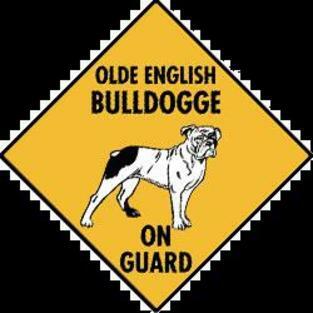 ​​​​​​Olde English Bulldogges are a separate breed from the English Bulldog. They're taller, more athletic, healthier, a lot more responsive, and have a kinder disposition. They are loyal, courageous dogs of medium size with a large powerful head and a stout muscular body. The temperament is very stable and trustworthy, making them the ultimate family member. This breed can breathe freely. The modern Olde English Bulldogge is a reconstruction of the original Olde Bulldogge of the 17th and 18th century. Various genetic crosses have been used in carefully and thoughtfully planned breeding programs to obtain this goal. The foundation of most of today's Olde English Bulldogges can be traced to English Bulldog, American Bulldog, and Mastiff.